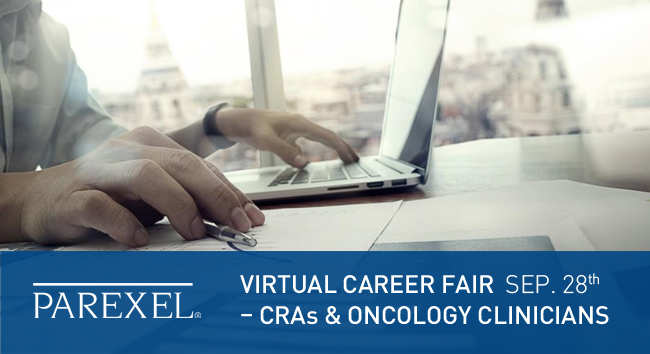 PAREXEL will be joining ACRP’s Virtual Career Fair. Take the chance to find out about your opportunities with PAREXEL, exclusively for CRAs and Oncology Clinicians. In case you cannot wait and want to apply right away, find all our job openings HERE.